It caught my attention because it highlighted something I talked about not long ago in an article on the pitcher’s stride, mainly that how you stride is a lot more important than how far you stride. And as you can see with Nick, sometimes striding too far can actually work against you. Well, I had the chance to catch up with Nick the other day before one his games in the Arizona Fall League. He was great, and I was able to record the interview to share with you guys here. I’ve included some highlights below along with the full transcript, but I’d also recommend listening to the full interview (less than 10 minutes). I think his story offers some really good lessons for young pitchers (and coaches) looking to take their game to the next level. Basically, I just stuck with the same mentality that I’ve had ever since I was a little kid. Just basically said, “You know what? I can pitch with whoever and I can play with whoever, and I’m just going to go out and prove that. And it doesn’t matter what round I get drafted in, or how much money I sign for, or any of that stuff. I’m just going to go out and do what I do with my pitching, and hopefully that’ll work out for me.” And it has. …it took us probably a month and a half to two months of just pounding it. Putting a hat on the ground and not stepping on it while I was throwing bullpens. Being able to shorten it this year really helped me get on top of the ball. My ball was sinking a lot more. My curveball and my changeup had a little bit more bite to it, which is what really helped. And it didn’t change anything in my velocity. Everything stayed the same. It really helped me just get on top of the ball and have more tilt on it. …we have video on everything. Like every game, we have video. And he kind of goes over it at the end of the week and looks at all the starts and picks out little things. In my opinion, with how easy it’s become to take high quality video, there’s no excuse for not incorporating video motion analysis in your training. Phil: Alright. Nick, are you there? Phil: Great. First, I just wanted to say thanks for doing the interview. I know you guys have a game coming up in a little bit, so I’ll try not to take too much of your time. 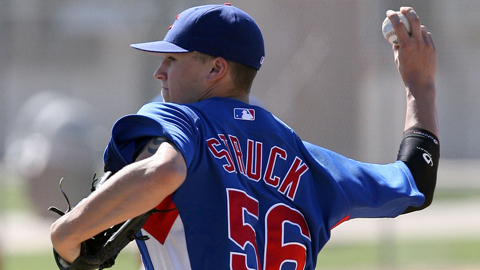 And also, congrats on being named Cubs Minor League Pitcher of the Year. That has to be a pretty good feeling for you. Nick: Thank you. Yeah. You know, it was nice getting a little recognition and stuff for working on a lot of things this year that ended up turning out for the best. So, it was definitely nice to get some recognition. Phil: And I noticed, from what I see, you weren’t a high draft pick. Was it the 39th Round that I saw? Nick: Yeah. I went to a Community College, and then I signed with the University of Hawaii, and then I got drafted. But it’s been working out for the best. Phil: Yeah. And then it looks like you rose up the ranks there with the Cubs pretty quickly. Sometimes, being a later round draft pick can be a hurdle for guys. How have you kind of worked to overcome that? Nick: Basically, I just stuck with the same mentality that I’ve had ever since I was a little kid. Just basically said, “You know what? I can pitch with whoever and I can play with whoever, and I’m just going to go out and prove that. And it doesn’t matter what round I get drafted in, or how much money I sign for, or any of that stuff. I’m just going to go out and do what I do with my pitching, and hopefully that’ll work out for me.” And it has. Phil: That’s great. So, it’s all about that mindset. That’s good stuff. Phil: And I don’t know if Nate told you, but the main reason I was looking to interview you was the article I saw recently in the Tribune – the Chicago Tribune – about how shortening your stride mid-season really made a big difference for you. 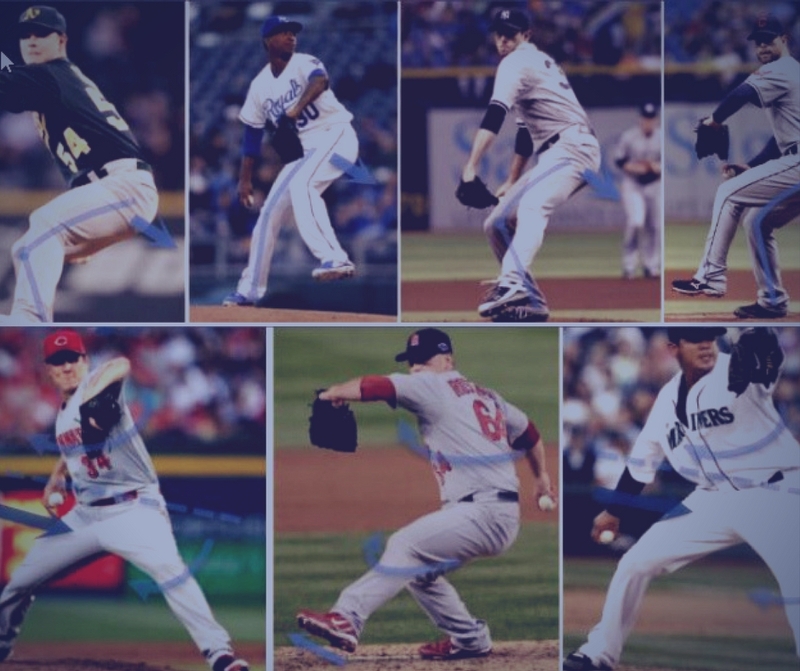 So I see a lot of young pitchers who want to get bigger with their stride because they think it’ll help increase velocity or they think that’ll allow them to throw harder, and I always try to tell them that it’s not so much just how far you stride, but really how you stride that’s important. So, could you just tell a little bit about how you feel shortening your stride helped you this year? Nick: Yeah. I mean me and pitching coach, Jeff Fassero, had been doing some things, working on my mechanics. I have pretty repeatable mechanics, but we sat down one day and kind of looked at video, and noticed that my stride was getting a little long and I was getting out on the side of the ball, which was preventing me from getting on top of it. And so, it took us probably a month and a half to two months of just pounding it. Putting a hat on the ground and not stepping on it while I was throwing bullpens. Being able to shorten it this year really helped me get on top of the ball. My ball was sinking a lot more. My curveball and my changeup had a little bit more bite to it, which is what really helped. Nick: And it didn’t change anything in my velocity. Everything stayed the same. It really helped me just get on top of the ball and have more tilt on it. Phil: That’s really interesting about the velocity, too, because that was something I was going to ask about. So, it didn’t hurt your velocity? You didn’t see a drop off at all in your fastball? Nick: –during the season, it was all the same. If not, it probably went up one or two. Phil: There you go. And you mention your coach, Jeff Fassero, looking at video of you. Is that something that he does with all his pitchers or is just something that he saw that he thought it was something that he wanted to do with you? Nick: You know, we have video on everything. Like every game, we have video. And he kind of goes over it at the end of the week and looks at all the starts and picks out little things. And that was one thing that he saw when he was looking at my videos. Just getting a little long. My stride was getting a little long. My drag foot was dragging too much, which was from the length of the stride, and so we’ve shortened it up. It really helped out. Phil: And that’s great that they’re doing that now because I know years ago, in the minors, that that didn’t go on a lot – using video for motion analysis. But I guess with the technology nowadays it’s that much easier. That’s really great that they’re doing that. Nick: Yeah, it’s helped out a lot. Phil: And one thing that just kind of stood out to me too was the fact that it was kind of mid-season that you made the adjustment. Sometimes, making a mechanical adjustment mid-season can be tough for guys. Did you find that to be a challenge or were you able to kind of make the change pretty quickly? How did that all go down? Nick: Yeah, we kind of went the first month and the first month was all right, and then there was like a stretch where I was getting knocked around quite a bit. And that’s when we kind of sat down and noticed it, and we just started doing it every day. Like towel work, and during bullpens, and things like that to shorten up that stride. I probably went through three or four different hats. We put it down at what the stride was supposed to be and if I stepped on it I knew it was getting too long. So having that there to basically prevent me from stepping on it is what really basically changed everything. And it wasn’t hard to do during the season because I was able to do it during the practice time. Nick: It wasn’t during the game. So, working on it during the practice time I was able to just carry it over into the game. I’d just imagine there being a hat there. And made sure not to step on it basically. Phil: And basically, during a game, you want to be able to focus on competing. So you were able to kind of just get the feel without having to really think too much about it? Phil: Okay, well that’s great. If you don’t mind, I just want to shift gears real quick and just get a little more information about the Arizona Fall League and how that’s all been for you. Phil: So, you know, you had this great year. You had this Minor League Pitcher of the Year and all that. And then, at the end of a long season, guys are usually looking to forward to getting back home. When did you find out that you were going to the Arizona Fall League? Nick: I actually found out a couple weeks before the season was over, so I was able to kind of prepare for it. Just get ready for it. Take a little break after the season and get back into it. Nick: So, it was nice being able to know a little bit ahead of time so I could prepare myself for it. Being home and being excited to go home – it’s fun to go home, but it’s my job and I got to do what I got to do to make it to where I want to go. Phil: And playing baseball, there are worse jobs in the world for sure. Phil: And has it been a lot different than your regular season – being out there in the Fall League? Nick: Yeah, it has been. Everybody wants to win, but it’s more of kind of a fun environment. Like getting to know a lot of different guys; playing with a lot of guys that I’ve played against this year. You know, it’s been a lot of fun. A new experience. Playing against guys from different leagues that we didn’t get to play against in the Southern League. Phil: Yeah, it’s almost like an All Star environment that way, right? Phil: Kind of up against all these guys who are the best players on their teams? Phil: Well, that’s cool. And another thing I wanted to ask you about was just, given the time of year we’re in, one of the things I’ve been talking to guys about a lot right now is having a plan for the off season. So, after you get done with things there in Arizona, I mean Cubs Minor League Pitcher of the Year and all that, where do you go from there? Do you have something that you’re looking to do this off-season? Nick: No, actually, I’m just going to head home. Get some resting time in since I didn’t get too much. I’m not going to have too much of an off-season. Nick: I’ll take a month off or so. I’ll throw in maybe a little more and keep working out. Keep staying in shape. But then come back and we’ll probably start back throwing up in January again. Phil: Really get it cranking up there after a long season. That makes sense. Phil: Do you go back home to Oregon? Nick: Yeah, I will be heading back there. Phil: Well, assume you have to deal with cold weather there for throwing in the winter? Nick: I mean, it’s cold. Luckily, I’ve got a couple of indoor facilities that I can work out at and throw there. So, those are heated, which is nice. Phil: Yeah. That helps out a ton, for sure. Nick: But sometimes, even if it’s cold, you know, it rains a lot, but we can squeak out of the rain sometimes and then you get out and throw live with my college and my high school. So, it’s not too bad working out up there. Phil: Well, good stuff. Hey Nick, I really appreciate you taking the time. I don’t want to take too much of it. I know you’ve got to get back to a game there. I know my guys are going to get a lot out of this and I want to wish you the best of luck the rest of your way there in Arizona, and have a great off-season, and hope you have a great 2013. Nick: Awesome. Thank you very much. Now, I’d like to point out that what Nick talks about as far as his off-season training really highlights the different demands facing professional pitchers as opposed to amateurs and youth pitchers. After a long baseball season that really began with Spring Training and went all the way through November in the Arizona Fall League, what a guy like Nick needs more than anything is a chance to rest. Get a break from the daily grind, physically and mentally. As he mentioned, for him there really isn’t much of an off-season before he has to start getting himself ready for March (or even February, when a lot pitchers report to camp). But for most young pitchers, the off-season is their best opportunity to really work on some things and make big strides in their development. I do believe most young pitchers should spend some time each year without a baseball in their hand (for a number of reasons), but you can’t expect to get better at throwing a baseball by not throwing it. I hope you got something out of this article. If so, you can do me a big favor by “Liking” it on Facebook and sharing it with your friends. Or drop a comment below, I’d love to hear from you!